Havas Media Group's Paul Frampton sees eight major trends that will shape media in the year ahead. This time last year, I penned my predictions for 2016. My main themes revolved around acceleration in media disruption, D-Day for publishers, greater interrogation around young audiences and TV, growth in programmatic and the emergence of the data driven agency model. Fortuitously, none of that was wildly inaccurate but what does 2017 hold in store? I have structured my thoughts in to the eight Cs. In the second half of 2016, we have seen many mergers and acquisitions. I predict that 2017 will see this ramp further. The Sky/Fox deal is all but a formality and Verizon swooping to acquire AOL & Yahoo the most notable. Broadcast and digital media are squeezing publishing and radio, so I would predict further consolidation and acquisition of digital capability here. Facebook's newsfeed is killing traditional news outlets. It's time to innovate or die for publishers. According to OC&C with the current trajectory, 70% of online ad revenue will go to Facebook and Google by 2020. The lumascape screams out that the economics of so many adtech and martech players is unsustainable, so it is likely that we will see some significant movement here. Management consultants will move from stepping to stamping on the toes of agencies in 2017. Their C-suite level access and focus on organisational change makes them a significant threat. Most are buying in creative talent but that does not equal a creative culture overnight. Accenture's acquisition of Karmarama is the most notable UK example but in the US Accenture is already the fastest growing digital shop. As the media landscape becomes fully digitised and data-informed, it becomes easier for one of the "Big Four" consulting firms to play a role because they are dialled in to systems, big data and tech conversations. Agencies must stay true to their strengths in understanding people, creativity and shifting perceptions whilst also investing in talent that is strong in systems, technology and leading transformation. All senior marketers are obsessed with delivering better, more seamless customer experience. Paid media and advertising are only one, albeit important, part of that equation, so expect to see agencies evolve to consult more broadly on customer experience. Media will sadly continue to be price driven but more focus will be placed on performance over price in 2017 as the measurement of offline effect on online and online on offline becomes more sophisticated. Similarly to how media shops diversified in to SEO and conversion optimisation, expect to see them now provide more consulting around customer relationship management and experience design. Agency groups that have invested in data management will be in a position to own more of the conversation about how experience is managed across touch points. Media and CRM will converge. Brands and agencies will demand more bespoke solutions, which cut across content, data and experiential. Content has been talked about everywhere in 2016 but only a small percentage of enlightened brands have become commissioners themselves. This will ramp up as smart agencies look to build as well as buy compelling media properties. Content creation will either be centred on utility or entertainment, demanding two very different skill sets. On the one hand, fast, intelligent, less polished content will be required to serve the increasing number of audience segments. On the other, agencies will collaborate more with talent, production houses and media owners to create genuinely meaningful and entertaining content that satisfies people’s passions. This will look increasingly less like a 30= or 60-second spot and increasingly more like a suite of varied formats customised for different platforms. Advertisers will become increasingly unprepared to outlay six-figure sums for a one-dimensional TV ad. To aid this rise in complexity, I believe we will also witness the rise of content management platforms allowing agencies to better control message alongside targeting. I believe we will see a renewed focus on context. Programmatic has pivoted media-buying to finding audiences wherever they are, but often both the placement and message are juxtaposed to the surrounding content. Advertisers will demand greater control over context, forcing media and creative to work ever closer together. As mobile consumption ramps further, location will become a powerful context, combined with behavioural data. Where someone physically is, where they travelled from and where they may go is arguably the strongest indicator of purchase intent. My shortcut for data and technology. Software is eating advertising and we will see more of it particularly in the area of creative management and media planning. Machine learning and artificial intelligence will not just inform campaign optimisation but planning and content creation. Agencies like Blackwood Seven, Hearts & Sciences and FullSIX are at the vanguard of this and will nick business away from less performance orientated agencies in 2017. Unless you are Google or Facebook, you're not seeing much growth. The latest Enders Analysis' numbers forecast print will be down 15% next year and for the first time in a decade TV spend will decline, albeit marginally at -1%. Tough times demand more cooperation and collaboration. The Guardian has had a tough year but its alliances with Google in VR and VICE in content are signs of a leadership team re-imagining their relevance. Next year, I expect to see more fluidity between online video and linear TV. You Tube's fastest growing screen is the living room TV set and technology like Sky Q is connecting these two worlds that were previously at odds. Digital platforms like You Tube and Netflix enable audiences to be scaled fast across borders. Content owners will therefore start to think more about digital and mobile platforms and exporting content like ITV have. Expect more collaboration between the old school broadcaster, platforms and content production powerhouses. Likewise, 2017 will be the year when pioneering agency groups like our own evidence how media and creative in harmony deliver a multiplier effect. It is clear that the world is changing ever faster and yesterday's siloed departments and business models have had their day. Collaboration and co-creation will be the flavour of next year. It will be the advertisers, agency groups and media owners who succeed in creating a culture which encourages and rewards these behaviours that win. Culture will truly eat strategy for breakfast in 2017. 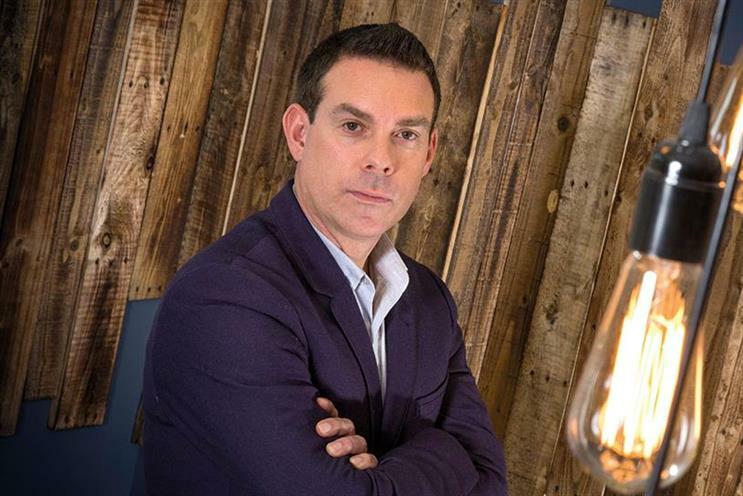 Paul Frampton is UK & Ireland chief executive of Havas Media Group.